Every year, I delight in choosing a theme for my present-wrapping and then taking a picture of the giant pile to keep record of each year's themes. 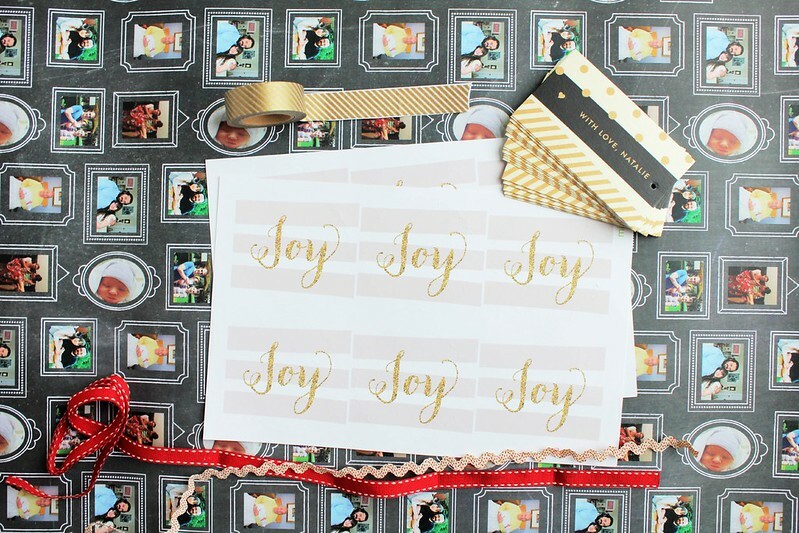 This year, Minted reached out to see if I wanted to try their brand-new personalized wrapping paper. HOW FUN IS THIS? 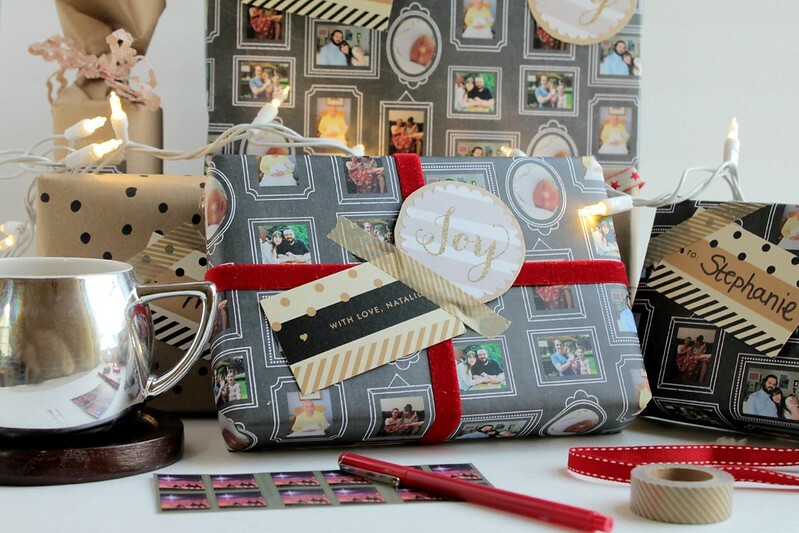 It's utterly amazing and I'm super in love with the ability to use wrapping paper filled with photos of all of the family adventures and milestones of the year (HI NIECE OF MINE!). Here you can see everything together here, with the Holiday Bling Scalloped Stickers Scalloped Stickers and a pop of red for holiday spirit and to brighten things up. 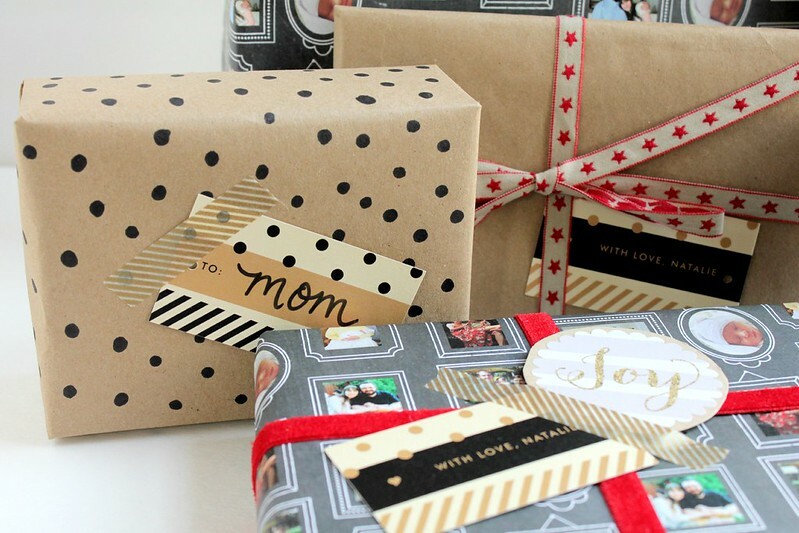 To coordinate with the fun Bold Washi Gift Tags, I wrapped a present in regular Kraft paper and covered it with black Sharpie polka-dots. A few of the plainer packages help balance the photo paper. 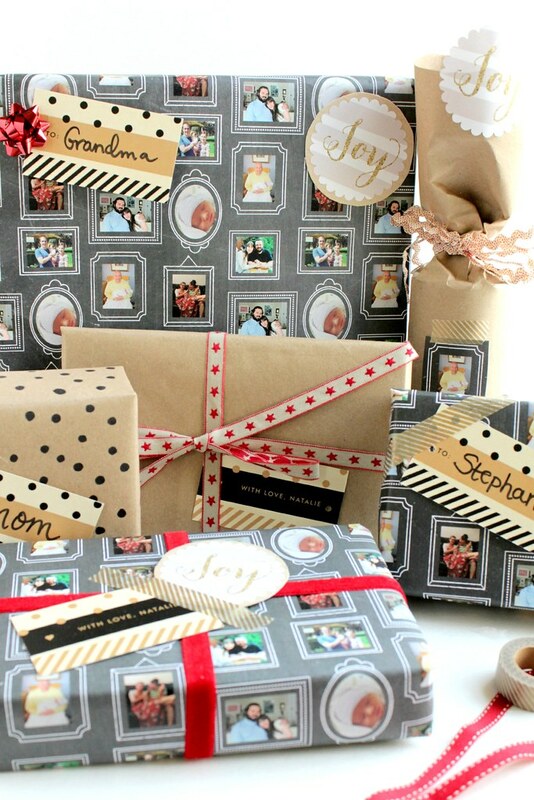 The beautiful Krafted Frames Personalized Wrapping Paper with my family photos in action! You might think this is expensive, but it's really not. It's only $15 for 5 generous sheets sized at 20" x 28". That's only $3 a sheet for 5 luxuriously thick sheets. Scroll down for a coupon code, too! Check out all of their other custom, personalize-able options here! 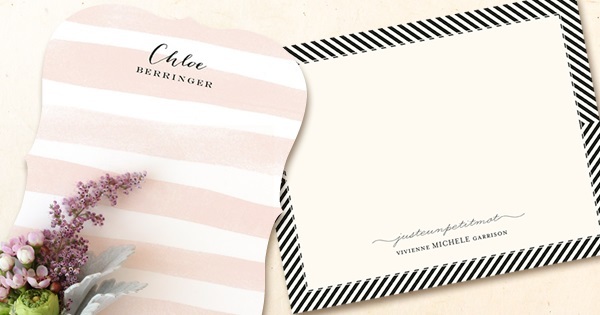 Or pick up some personalized stationary for anyone in your life. These cards are beautiful and I think any lady aged 10 all the way up (or me!) would cherish them, and might even be inclined to send you one as a thank-you note! Love the Sanibel Island Stripes! 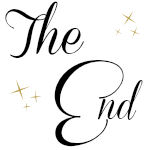 AND Minted's Cyber Monday deals have been so popular they've extended it through tonight, December 2nd, at midnight. 25% off everything else with Code: 25CM - includes Minted's Unique Wedding Stationery, gifts, art prints and more! Happy present-finding and -wrapping, my dears! Enjoy every minute! 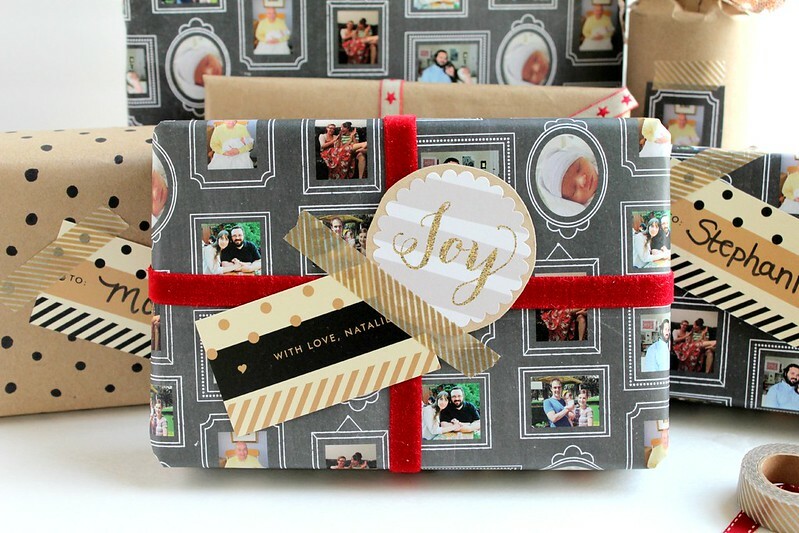 Love this wrapping! It makes me want to actually wrap presents in something other than newspaper for once. Also, lovely chatting today on Alt Chat!